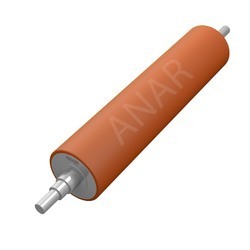 Providing you the best range of paper lamination roller, cold lamination roller and lamination rubber rollers with effective & timely delivery. We produce and repair a range of laminator rollers, for a range of applications and in a range of materials (depending on their specific use). 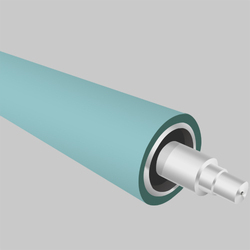 For hot laminating rollers (up to 220oC), we would recommend using a high- release silicone compound from 40 to 80 shore A, as this compound is capable of withstanding such temperatures. For hot lamination rollers, where temperatures will not exceed 150oC (and high load, abrasion and wear are considerations), then we would recommend using a synthetic rubber compound etc. Color available White, Green, Blue, Red, Orange, etc.